of brain science from today's leading experts. Enhance your clinical skills, speed up healing, and transform your clients’ lives. We’ve all been dazzled by the findings of neuroscience and the brain’s capacity to re-wire itself and grow new neural pathways. But for many of us, the question remains—How do I use these findings to help my clients in concrete and practical ways? 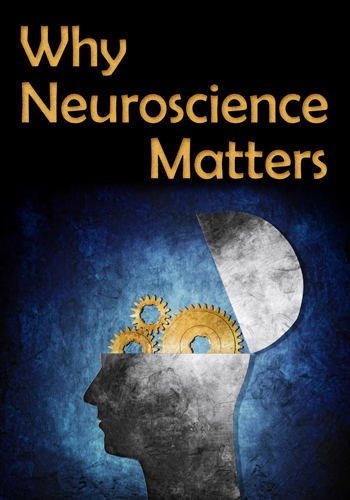 To answer your questions about practical applications of brain science, we invited leading brain science experts to be part of our online video course—Why Neuroscience Matters. Today Only £99.99 (VAT Inclusive) — An Unbelievable Value! Earn 10+ CPD Hours – All INCLUDED IN THE PRICE! Dan Siegel is one of the pioneers in bringing brain science into clinical practice. His books include Brainstorm, Mindsight, and The Mindful Therapist. Changing channels on the "inner juke box"
Rick Hanson is a neuropsychologist noted for his explorations of the intersection of psychology, neurology, and Buddhism. He's the author of Buddha's Brain and Hardwiring Happiness. Norman Doidge is one of our leading authorities on neuroplasticity and other cutting edge developments in brain science. His books include The Brain That Changes Itself. Stephen Porges is the developer of Polyvagal Theory, a widely influential expansion of our understanding of the autonomic nervous system. He's the director of the Brain-Body Center in the College of Medicine at the University of Illinois at Chicago. Louann Brizendine is noted for her provocative work on gender and brain development. She's the author of bestsellers The Female Brain and The Male Brain. Dan Siegel, M.D. and Rick Hanson, Ph.D.
David Grand has trained more than 8,000 therapists in Brainspotting internationally. He's the author of Brainspotting: The Revolutionary New Therapy for Rapid and Effective Change and Emotional Healing at Warp Speed: The Power of EMDR. Sign Up Now to Get These Bonus Audio Workshops! With the vocabulary of brain science so widely invoked in our field, this Forum will explore the actual practical impact brain science is having on clinical practice today. Each presenter offers a 20-minute presentation in the compelling TED Talk style followed by the opportunity for further exchange and exploration with the audience. This Symposium 2015 workshop explores strategies to enhance neuroplasticity including how to counterbalance the brain’s negativity bias, juxtapose negative and positive experiences to heal toxic shame, and how to use self-compassion and attachment work to bolster resilience in the prefrontal cortex. You’ll also learn guided visualization and open-focus exercises to move clients to a more expansive sense of self. This Symposium 2015 workshop offers specific exercises you can use to help clients strengthen four important neural pathways used to form healthy human connection. The C.A.R.E. Program includes a range of practices that clients can do at home to extend the impact of therapy. Read clients’ cues to their underlying neurobiology? Assess how a client’s attachment history shapes emotional responses in the present? Work effectively with implicit memory to help clients make lasting positive changes? Help clients more fully internalize what they learn in therapy? Use your knowledge of the brain to regulate your own emotional reactions and deepen your connection with clients? Get answers to all your questions plus practical applications of brain science for your practice from the experts in our 8-session online video course. Sign Up Today! Register now to get your login for instant access to the online portal. Watch your email for the order confirmation and link to get immediate access to all course videos and materials online, plus downloadable PDF exercises to work through with the training. Start interacting with other online attendees via chat message boards. Complete your CPD tests online when it's convenient for you, to earn up to 10+ CPD Hours.